A little less than two hours from Tampa, in the heart of central Florida, is a group of wild monkeys that live primarily within the boundaries of Silver Springs State Park. Wildlife management suspects that there are roughly 300 rhesus macaques monkeys living in the area and have been for the past 80 years. The monkeys are indigenous to south and southeast Asia, but ended up in the Sunshine State after a tour boat operator thought that releasing six of them onto an island in the state park would attract more people. The operator was right about attracting more people – the park’s main attraction are the wild monkeys. However, the monkeys come with their own set of issues. The macaques population is growing rapidly and uncontrollably. Wildlife experts expect that the population will be double what it is now by 2022, unless state agencies step in to control it. However, the state has experienced a lot of pushback from local citizens when they tried to control the population of monkeys in the past. Once people realized that the state was sterilizing monkeys and removing them from the area, they quickly began poaching and selling the monkeys for profit. Once the moneys were captured, the state couldn’t find rehabilitate them, so most ended up in the hands of biomedical researchers. One trapper managed to catch over 700 monkeys, and all of them were handed over for research, much to the dismay of animal rights groups. The monkeys also come with another issue: they are spreading the Herpes B virus like wildfire. While it’s rare, it is possible for humans to get the virus from an infected monkey. The Herpes B virus can be deadly and when it spreads from monkey to human. It is the government’s job to protect its citizens and to create a healthy and safe environment. The monkeys, for the most part, all exist within the boundaries of the state park, which means the state can legally take matters into its own hands without having to worry about stepping on someone’s private property. The monkeys aren’t indigenous to this area, they didn’t get here naturally, they came to Florida because someone wanted to make more money and use them to do it. Now they pose a threat not only for that population of monkeys, but for people that live and visit that area. The state needs to do something about this problem, especially sense there is no cure for Herpes B. Imagine going on vacation to Florida and bringing your kids to a state park to see wild monkeys and then they get herpes. Although, this is unlikely, it is possible. The fact that it’s risk alone should be enough for the government to get involved before the population gets too large. 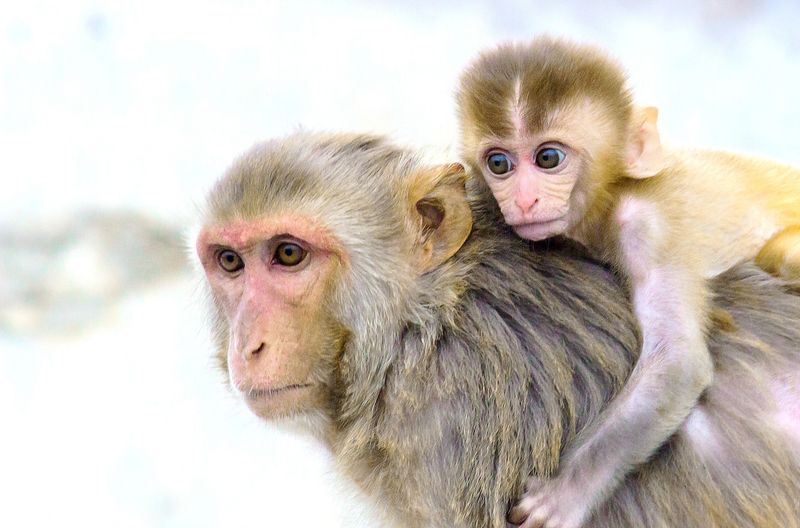 With the current population size of the rhesus macaque monkeys, it would take 16 years of strategic removal and sterilization before they are completely gone. I’m not a supporter of animal testing, however I think there are other ways the state could get control of the population before it’s too late. If the government kept sterilizing male and females and focused on removing them from the area and placing them somewhere else, the public would be a lot safer. There are plenty of local organizations and private zoos that i’m sure would be interested in a new exhibit involving monkeys, especially if they are free. This would help control the population problem as well as possibly speed up the process of completely removing them depending on how fast they could place the monkeys. This could also be financially beneficial for the state, especially if they required the organizations to “voluntarily” help with the removal process. Another thing the state good look into is attempting to get the monkeys back to their native country. While the rhesus macaques are indigenous to South and Southeast Asia they can also be found in the wild in India, Bangladesh, Pakistan, Nepal, Burma, Thailand, Afghanistan, Vietnam, southern China. It is possible for the state to look into trying to place these monkeys all at once in any of their various homelands but it would be timely and costly.